*FREE*, family-friendly, food vendors, spectacular light displays, live music, and fireworks over Victoria’s iconic Inner Harbour. 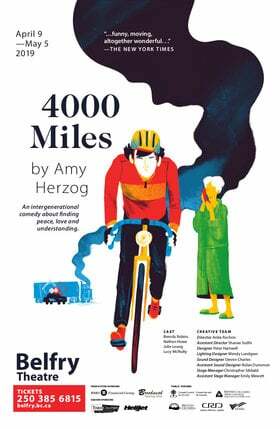 With musical performers: Dear Rouge, Alex Cuba, Jérémie & The Delicious Hounds, Lekwungen Dancers, and more! 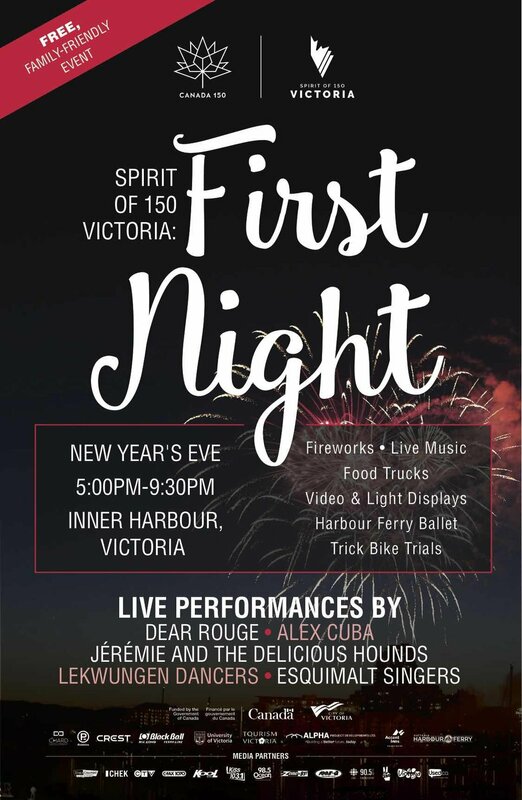 Spirit of 150 Victoria - First Night is a community celebration of the beginning of our nation's 150th year of Confederation. Victorians, Islanders and visitors alike will be treated to a grand New Year’s Eve celebration in the Inner Harbour. The free event will include a spectacular digital light and firework display, musical performances, food, and other family-friendly activities.